Our next stop was an overnight stay in Johannesburg to visit our new granddaughter on the way to Limpopo. I am sure that all grandparents will understand that one has to use any opportunity to visit family that is not living close to you. Then we were off to the Mogalakwena River Lodge that is owned by our friends. It is a beautiful place on the Mogalakwena River, far in the northwestern corner of Limpopo close to Alldays and the Tuli Block. The Research Centre on the farm hosts students from all over the world to do research on various subjects while studying for their masters or PhDs. On the adjacent farm is the well known Arts and Craft Centre that employs local woman to produce beautiful embroidered scatter cushions, wall hangings, napkins as well as beaded items, one of the most charming being the baobab tree. 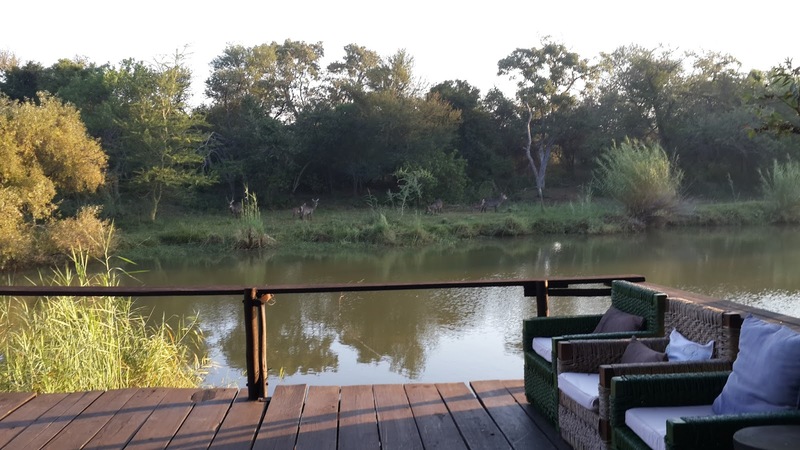 When we stay there we go for game drives or lovely walks in the bush,as there are no predators to be worried about a really beautiful experience. It makes us look at the smaller creatures as well as the flora, and there is always something new to discover. When we return we can relax on the beautiful deck on the river, where we can watch waterbuck coming to drink, as well as a host of birdlife, and this time at last we saw the African Finfoot for the very first time! Love the experience you shared.The photos indicate that you had a lot of fun. I must say, you have some really amazing photography skills.